This is a sponsored conversation written by me on behalf of De’Longhi. The opinions and text are all mine. Mother’s Day is almost here, and the family has been asking what I want to do. Where to go. What gifts I’d like. Usually I say, oh, nothing! Just a card is fine! Then we attempt to go to brunch as a family, only to wait forever, and I wind up exhausted and cranky from dealing with three squirmy kids. My other request is to indulge in fancy coffee drinks. My advice: skip the gift cards and get every busy mom you know a Lattissima One. Our typical school mornings are total chaos. It may be a cliché, but it’s true! Nobody in our family is an early riser so every day is a race to get three kids up and out the door in under 40 minutes. After the school dash, I go home to a quiet house. And make coffee. 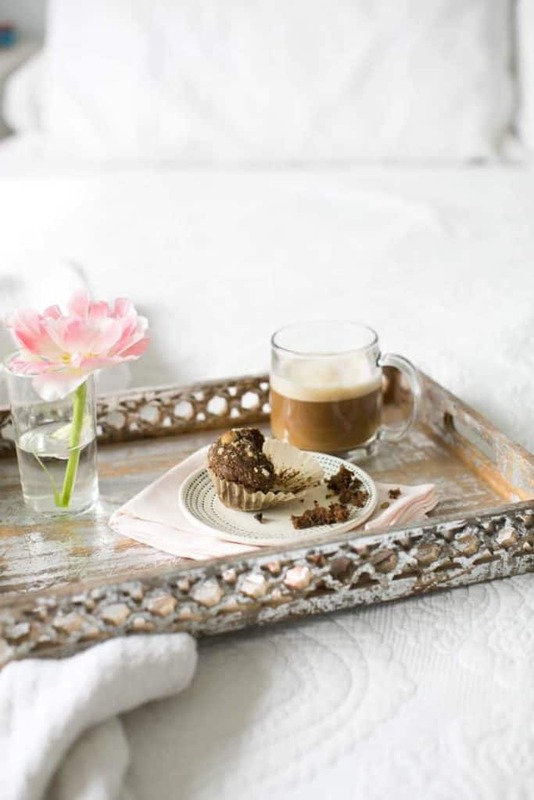 Those precious minutes of reading the news – or, let’s be real, just staring out the window – with my latte are the most zen moments of the day. That morning routine is one of my favorite rituals, but I’m the only person who drinks coffee at home. 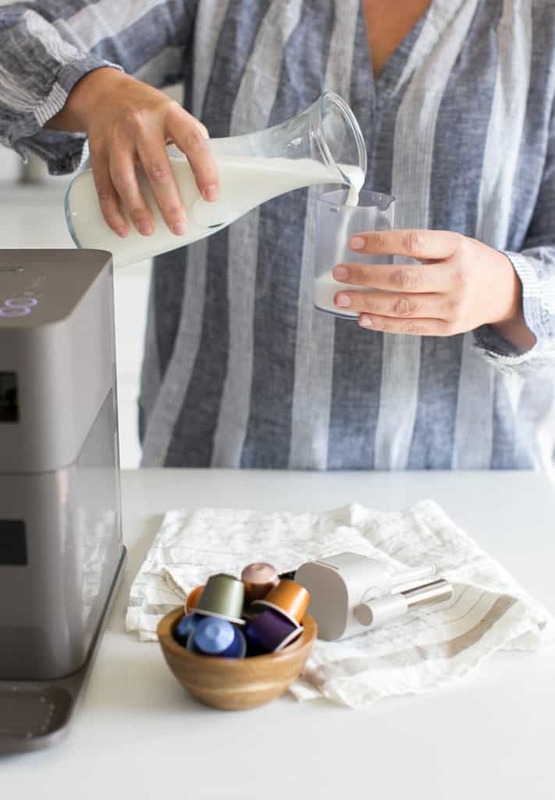 My husband has long been obsessed with the De’Longhi Nespresso machine – so much that he took it to work with him. Selfish, right?! For years I’ve been making a full pot of coffee and then reheating it in the microwave over the next day or two. And every time it gives me the sads. Because reheated coffee is, well, sad. Enter the Lattissima One. No more bitter 3-day old coffee! The compact (and stylish) machine sits on the counter like your own cute barista at home. Hit a button and get a creamy latte, a latte macchiato, a cappuccino or just the perfect espresso or coffee. 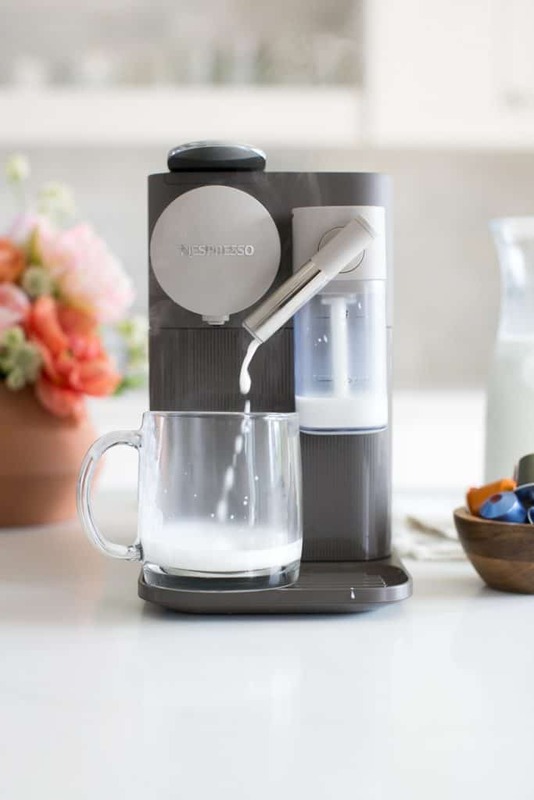 Have a fancy coffee drink every day with an automatic frother that makes perfect creamy foam. I love it maybe more than my robot vacuum. These are the innovations moms want! This Mother’s Day, I’ll happily let someone else deal with the chaos of the morning. For one day at least. What’s on your Mother’s Day wish list? 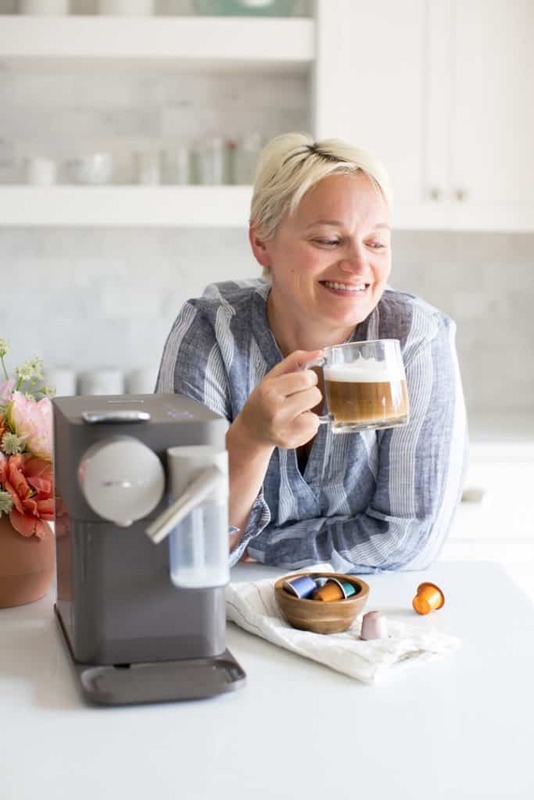 If you love coffee like we do, you’ll want hop on over to De’Longhi’s website where you can get 25% off Lattissima and Nespresso machines for Mother’s Day, through 5/14. You can also enter our giveaway! One lucky reader will win a De’Longhi Lattissima One. Visit our Instagram page to enter. Preheat oven to 400ºF. Grease muffin cups or line with muffin liners. Combine 1 1/2 cups flour, 3/4 cup sugar, salt, cocoa powder, flaxseed, maca, and baking powder. Place vegetable oil into a 1 cup measuring cup; add the egg and enough milk to fill the cup. Mix in the instant coffee and stir well. Add this to the flour mixture. Add in ¼ cup of nuts, mini chocolate chips, and vanilla. 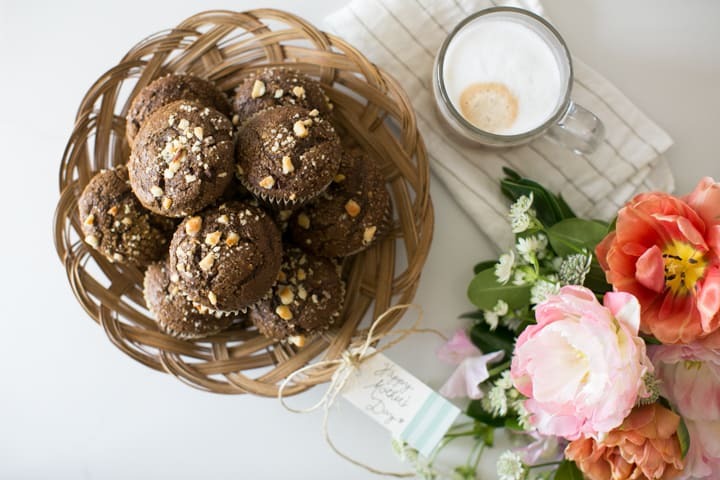 Fill muffin cups right to the top, and sprinkle with turbinado sugar and remaining nuts. Bake for 15-20 minutes in the preheated oven, or until done.